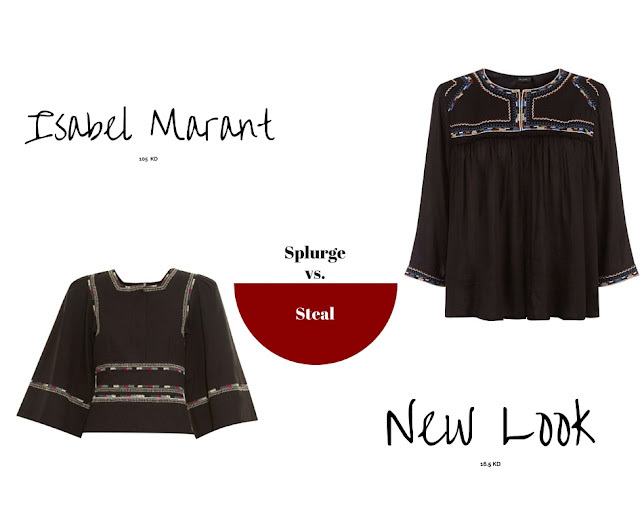 As I'm digging the bohemian vibes, spotted this Isabel Marant top which I thought would be quite handy in those sweltering days of summer along with a pair of denim culottes or perhaps a wide leg pants. But today as I was browsing New Look store I couldn't shake off the resemblance as I was wrecking my brain trying to figure out where did I see it before ? So a splurge or a steal ?